While powder coating may be uniformly better than conventional painting, the exact method in how the procedure is carried out tends to differ from company to company. This is mainly the result of the variable pieces of equipment each group tends to employ. Companies that aim to stand out from the crowd, such as Decora Powder Coatings Ltd., strive for consistency and efficiency in order to surpass the customer's expectations. In order to carry out our powder coating procedure to its full potential, we at Decora have chosen to invest in the patented Digital Valve Control (DVC) technology. DVC technology allows the user to entirely regular the flow of compressed air to the injected via the motor-driven valves. The make-up of each motor-driven valve allows for regulations which are extremely precise and reproducible with no hysteresis variations. These precise and repeatable regulations are extremely important when it comes to achieving consistent and precise powder output. As an added benefit, the control unit automatically recalibrates the motor-driven valves without the need for any manual intervention – ensuring a high level of powder output precision in the long term. Due to the fact that all the guns used in powder coating are precisely regulated by the motor-driven valves, powder distribution tends to be far more uniform and results in very significant powder savings. Whereas some companies that lack this technology need to make multiple passes to even out inconsistent surfaces, DVC technology allows for consistency is achieved the first time through. With DVC technology, objects never need to be re-painted to provide a uniform finish, and this translates into savings for both the business and the customer. Settings for the motor-driven valves over the course of a long period of time can be consistently reproduced without hysteresis problems when used in a system that incorporates DVC technology. This is ensured by the periodic automated recalibration of the valves. Further, application parameters can be easily stored and recalled whenever needed again in the future. The long run efficiency of procedures using DVC technology result in reproducible coating results stretching far into the future. 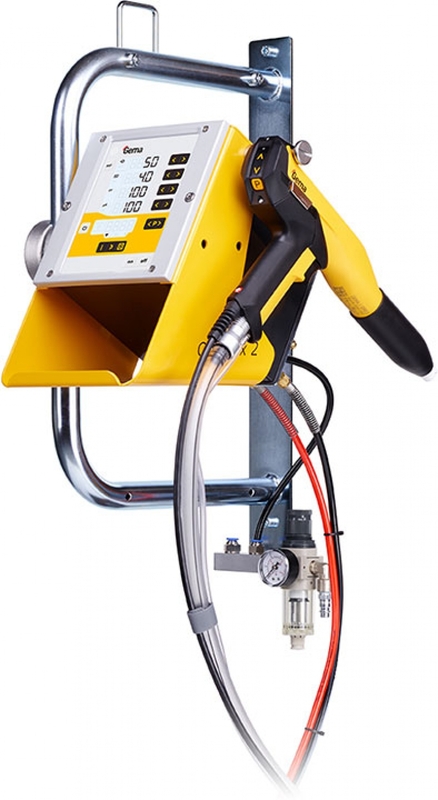 If you'd like quality work done that can be exactly reproduced if the situation calls for it, a powder coating procedure that incorporates DVC technology is certainly what you require.